Home Technology See iPhone 8 Launched by Chinese That is Powered By Android! As we are nearing the presentation of the tech giant Apple’s next flagship device, the iPhone 8, new leaks continue to show how the upcoming Apple iPhone 8 will look like. 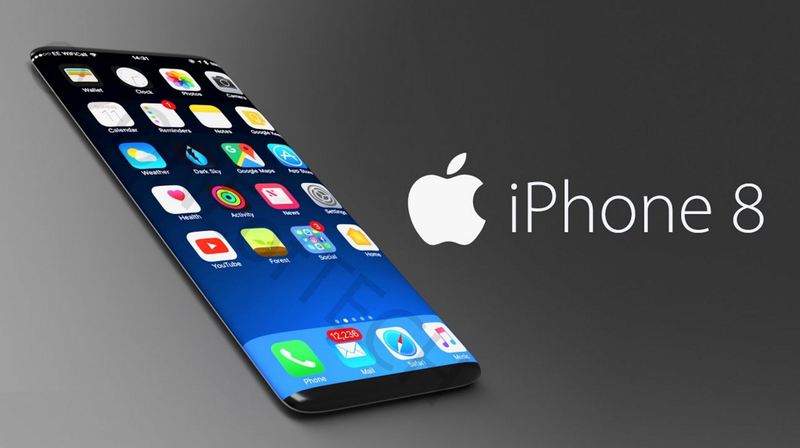 There were lots of rumors making rounds on the Internet which shows that iPhone 8 will rule the smartphone industry. Apple is expected to launch the next flagship on September 12, but if you don’t like to wait anymore then the Chinese have something extraordinary for you. Recently, a clone of iPhone 8 is making rounds on the internet. The clone is the mix of design and software that looks very close to what Apple is predicted to take the wraps off in few weeks. The Chinese clone carries a glass on the back, and also shows a vertical dual camera which is expected to make its way to the iPhone 8 as well. However, the extraordinary thing is, the clone is running Android operating system instead of iOS 11.
iPhone 8 clone is very unlikely to feature the same build quality, hardware and performance like Apple’s offerings, and this is pretty much the problem with all the other Chinese clones out there. However, this doesn’t restrict users from buying them, because they are much cheaper compared to originals but the experience is totally different if compared to Apple device. However, if you are a true Apple fan that you need to wait for some more time until Apple unveils the iPhone 8 on September 12.